Project Scope: UGE and partner Qabsolute LLC completed a solar installation for Peck's Farm. The 25kW solar array produces 35 MWh annually, providing a sustainable energy solution for the commercial farm. 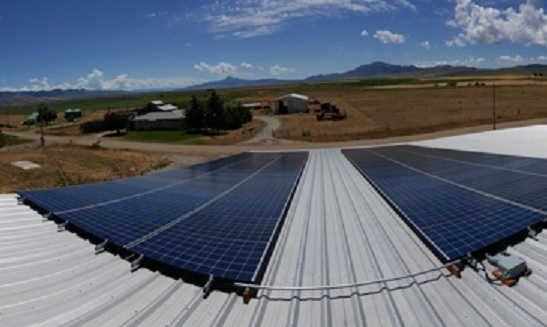 Though Idaho lacked certain incentives available in other states (like solar rebates and Renewable Portfolio Standards), the UGE/Qabsolute team was able to develop a solution, including a grant from the USDA, that offered a short payback period to the client.